Celebrating handmade original art and the people who create it! 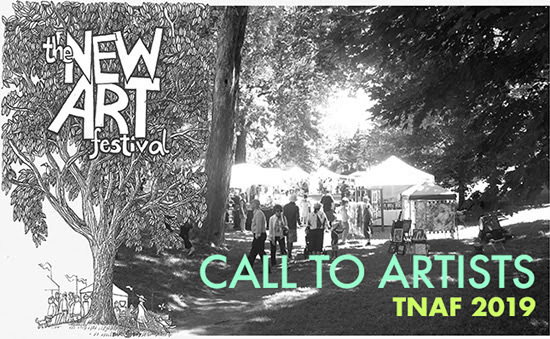 Artists and craftspeople working in all media are invited to apply to The New Art Festival, Ottawa’s original celebration of handmade, one-of-a-kind art in a welcoming park setting. Juried by practicing artists and arts professionals, this highly acclaimed event is an ideal networking opportunity for both up-and-coming and established artists. Promote your studio practice and engage one-on-one with the public, art collectors and galleries in a vibrant, friendly and relaxed environment. Join us for the festival that artists and visitors alike return to year after year! The New Art Festival does not charge an application fee and organizers do not retain any percentage of artists’ sales. The New Art Festival is Ottawa’s longest-running juried outdoor art exhibit, featuring nearly 200 artists working in a wide range of styles and media that reflect artistic excellence, innovation and strong craftsmanship. This community-oriented event is organized to strengthen the connections among artists, the larger arts community and the general public. The festival attracts thousands of visitors annually and artists travel from throughout Ontario, Quebec and the rest of Canada to participate. Now in its 27th year, The New Art Festival is a non-profit, low carbon footprint event that takes pride in creating a community that artists and visitors return to year after year.